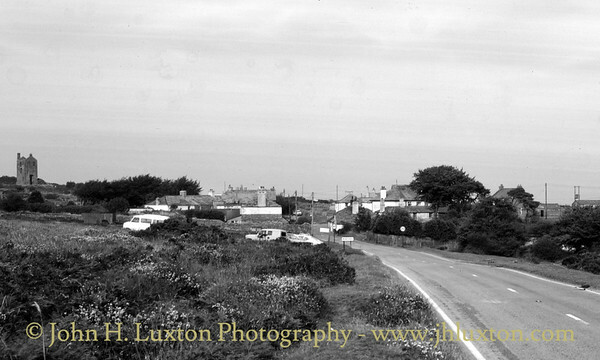 35mm photographs of the Caradon District of Cornwall from the 1970s to 2000. Minions viewed from the west. 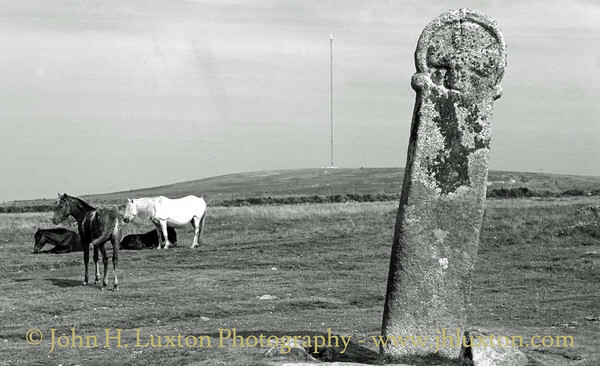 "Long Tom" and ponies with Caradon Hill in the back ground. 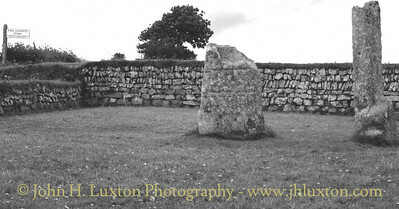 The Hurlers Standing Stone Circle, Minions, Cornwall. 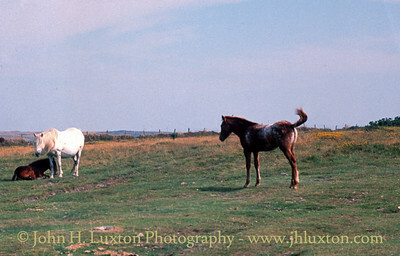 Bodmin Moor ponies at Minions. 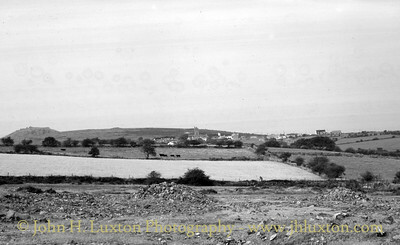 Torpoint viewed from Anthony Road. 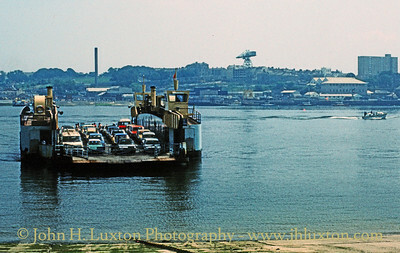 The Torpoint Car Ferry showing one of the vessels used prior to those currently operated. 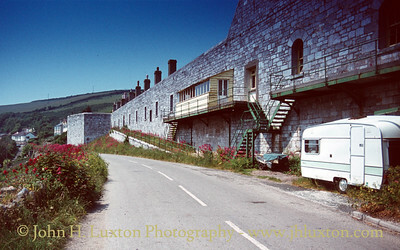 Cawsand Fort before it was converted into residential accommodation. 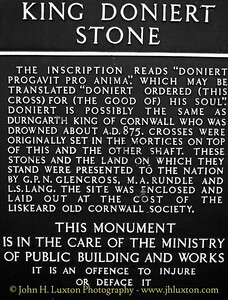 King Doniert's stone lies beside the Dobwalls to Minions Road and commemorates the death of King Doniert / Durngarth in AD875. 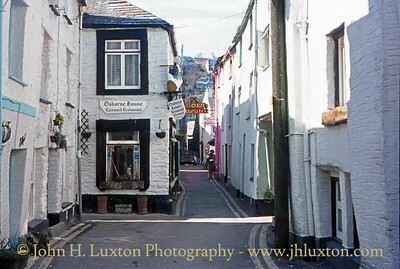 A view along some of the quaint narrow streets of Looe. 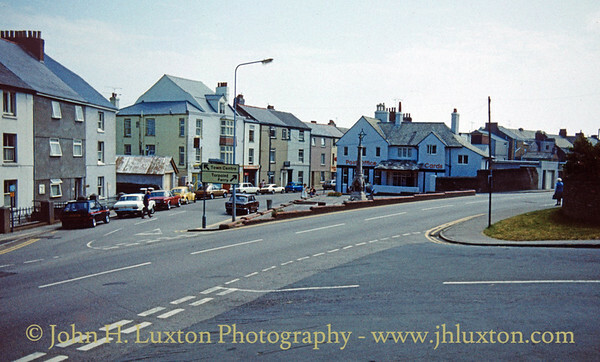 Even back in the 1970s they were zealous with the yellow lines. 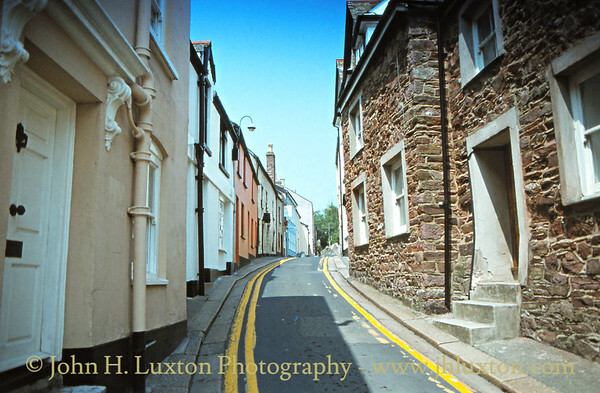 Is it necessary to paint yellow lines on both sides of the street when parking on one side would block the other! 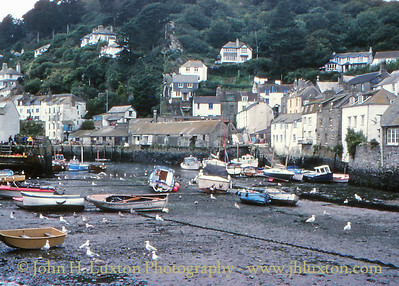 Polperro Harbour at low water. 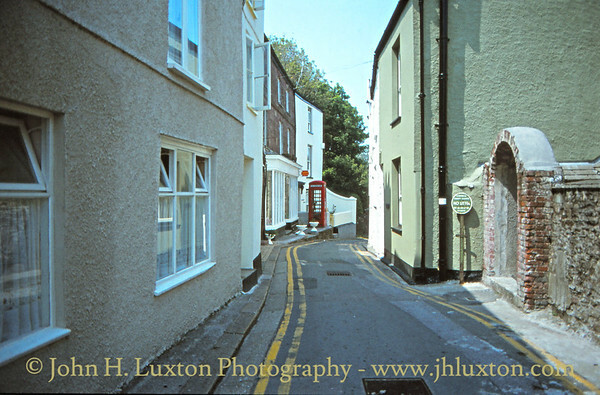 From 110 Kodachrome slide. 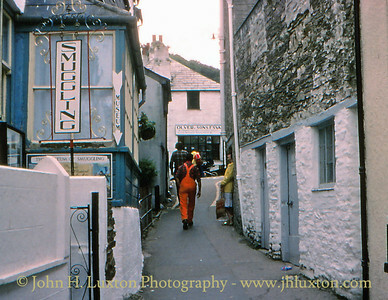 Smuggling Museum, Polperro. 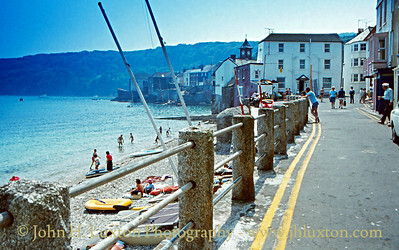 Taken from a 110 Kodachrome Slide. 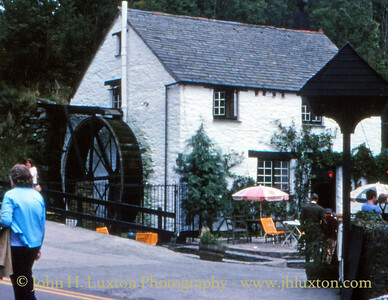 The old mill at the Crumplehorn Inn from a Kodachrome 110 slide. 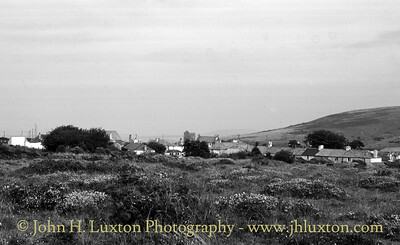 Minions village is situated on the eastern flank of Bodmin Moor below Caradon Hill. Once it was a mining settlement. 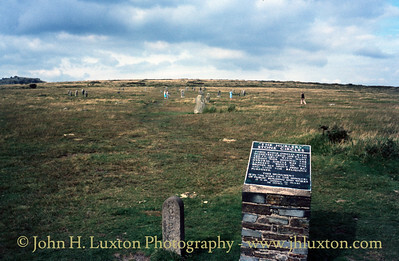 The Liskeard and Caradon Railway which served the local mines and quarries crossed the road here. I was standing on the former track bed to take this photograph. 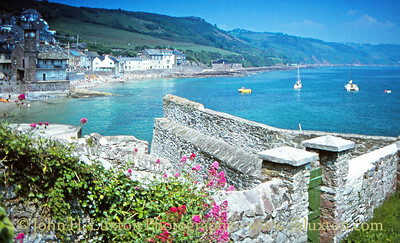 The twin villages of Kingsand and Cawsand on the Rame Peninsula once straddled the Cornwall - Devon border though now the whole area is within Cornwall. The landmark clock tower and village institute building seen in the top left were nearly lost to the sea in the storms of early 2014. 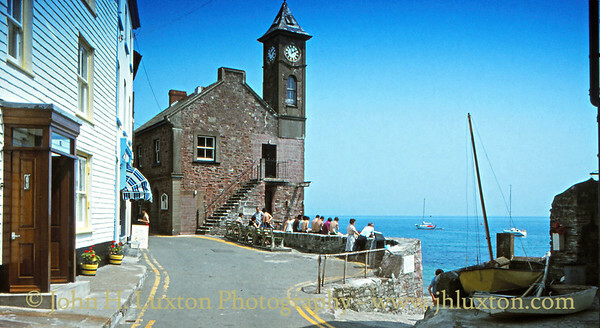 The landmark clock tower and village institute building seen in the top left were nearly lost to the sea in the storms of early 2014, but have fortunately been saved,. 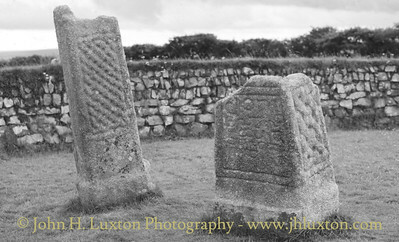 I took this photograph almort 33 years before the big storm. 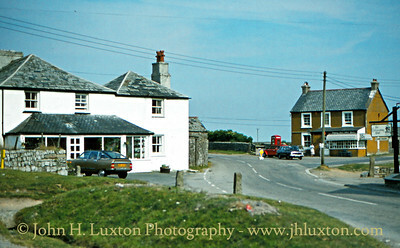 The cleave at Kingsand spring 1982. 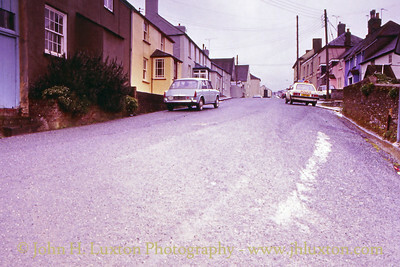 My old MG 1100 - JKF862D seen parked near the quay at Cargreen Village in March 1983.